Welcome to Sarah Coxon Floral Design, in Fakenham. We are a family business run by Sarah Coxon located between the market towns of Dereham and Fakenham. We proudly offer a wide selection of floral items from bouquets to arrangements and will try our best to tailor our floral items to any occasion. We can also provide same day delivery on all orders placed before 2pm this includes national and International delivery through Direct2florist. We offer a friendly and welcoming experience to each customer and strive to achieve the very best service by meeting your every need down to even the minor details to ensure that you are 100% satisfied. At Sarah Coxon Floral Design we specialise in wedding flowers, funeral flowers and same day flower deliveries for any occasion. 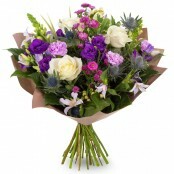 Be it birthday, anniversary, I’m sorry – whatever the occasion we can deliver the perfect bouquet of flowers for you. We also specialise in flowers for business and have provided large flower arrangements for restaurants, seminars, and also thank you’s from businesses to customers. Contact us to discuss your specific flower requirements on 01328 829 781. 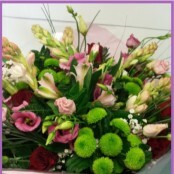 Here at Sarah Coxon Floral Design we are ready to deliver flowers same day (please order before 2pm). You can ring and pay by phone or order online from our website here. We accept Mastercard / Visa / Paypal. If you are looking to send flowers today for any occasion – look no further, order here and let Sarah Coxon Floral Design take the hassle out of sending flowers. Thank you for visiting our website. We look forward to being of service soon.